Although it started an hour late, I believe it was worth the wait. Six speakers took turns in presenting in that order. Aside from the fact that they were all fantastic speakers, I won’t delve much about the event because it was already elaborately mentioned by Ia, Regnard, Jan, JP and Shari. Mia even made a cool visual summary of the event which she called sketch notes. You may want to download their presentations here. What I want to blog about is how I slowly introduced the “techie” hearing crowd to the exciting world of the deaf. I was with my ever loyal deaf brother Ervin Reyes and a graduating student in our school Jerome Marzan. Ervin was with me during the first mini-conference at G2VC. On the second conference, I requested Jerome to join us. This time, all three of us attended. 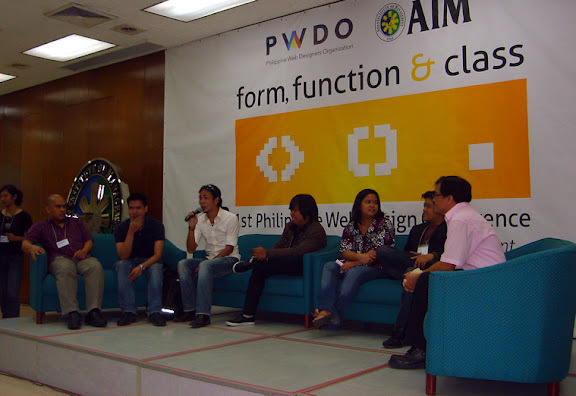 Other members of the Philippine Web Accessibility Group like Rene Orense and Charles Julius Serrano from a computer school for the blind named ATRIEV were also present. Since my topic is about proper use of ALT text, I can easily promote accessibility issues for the visually impaired. However, it’s the concerns of deaf people whom I’m having difficulty inserting into my talk. You see, the only significant accessibility issue applied for the deaf is the use (or non-use) of closed captions on videos posted on the Internet. So how can I make them feel the presence of the deaf in the audience? Solution? Sign language. I may not be standing there in front interpreting but people certainly notice me signing for my deaf companions while seated beside them. Also, during the “introduce yourself” part, I specifically instructed them to sign to the audience while I voice them. That way, the crowd can see their hands that seemed aimlessly swinging back and forth has a corresponding English term. A quick glance and I saw some of their faces looking perplexed and awed at the same time. 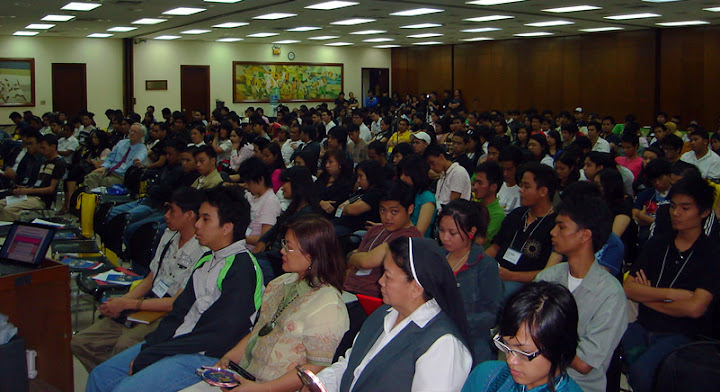 Before I started with my short lecture, I introduced some members of PWAG who were there. I especially mentioned Jerome and of course, Ervin. I told the audience that he is a computer instructor for the deaf and a very skilled web designer. 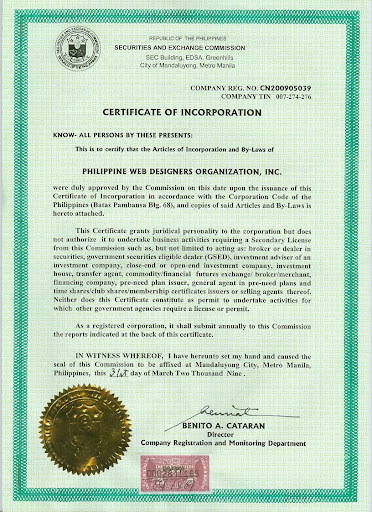 I even boasted that he won in the web design competition here in the Philippines and represented the country in the international skills competition in India in 2003 where he won the bronze medal. He received a cash prize of Php 100,000 from President Gloria Macapagal-Arroyo. Oohhs and ahhs were heard from the audience and a rousing applause followed. Ervin might not hear the claps but he certainly felt it. On my talk proper, I don’t know where I can insert sign language. So I decided to use a relevant one, the one where President Barack Obama signed 1-4-3 to the crowd. I added it as one of my examples on proper use of ALT text. I even taught them how to sign I-Love-You. They all copied my hand sign. I felt guilty when my talk went overtime from the alloted 15 minutes. That’s because quite a number of them asked questions and I had a lively pop quiz. Mae, the designated timekeeper, showed me her laptop indicating that I only have two minutes left even if I’m not even half of my lecture.